To keep the good condition of your lawn and ensure its thickness you should mow it regularly. This isn’t work which everyone can do especially as it involves working with specialised machines. We can offer you highly effective and affordable grass cutting services available in Hammersmith that guarantee perfectly shaped green areas. Our gardeners use the latest lawn mowers and know how to edge around other plants and pathways. You can use our services every week or less frequently depending on the size and condition of your lawn. Call us to send any of our experts on lawns to your address who will restore the attractive appearance of your grass areas. It is not unusual for lawns to get overgrown, filled with weeds, moss and pests especially if they have been neglected for a long time. 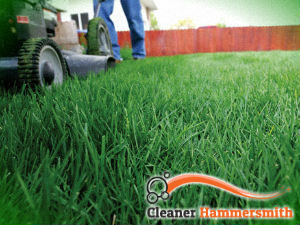 Our gardener can restore the nice and healthy condition of your property by providing the cutting of the grass in it. They use high-grade machines specialised for this work which help them provide fast and effective shaping of lawns. Use the affordable and professional grass cutting which is offered by our company in W6 to maintain your lawn properly. We work seven days in the week and have fixed prices without hidden charges. You can save your garden from getting overgrown and unsightly using professional services. We are many years in the industry and know how to make our customers pleased with the services we offer. The gardeners who will be sent to your property check the condition of the grass and carry out cutting and shaping of the area. They edge around flower beds, plants and other features. 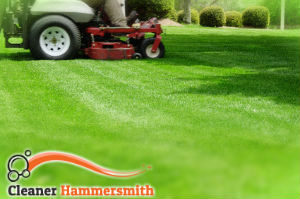 Our grass cutting services can be used by the residents of Hammersmith, W6 once performed or as often as needed.